Welcome to one of our most tactile product sections! These textured and patterned aluminium sheets, with their distinctive raised surfaces, have a ‘must touch’ quality about them. 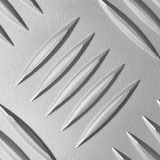 Although with differing ‘in service’ attributes these textured aluminium sheets and tread plates share the same quality of creating visual stimulation to their chosen application. All of these sheets are available in satin anodised and mill finishes. 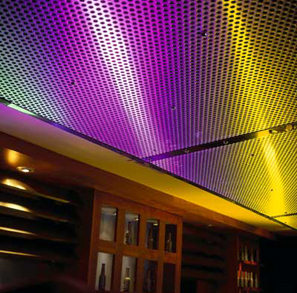 (Anodised is a smooth matt satin finish and Mill is the untreated option). The raised pattern lozenges of aluminium tread plate, which are integral with the material surface, are as hard as Brighton Rock. Making these aluminium chequer plate sheets impressively strong, long lasting and visually appealing. 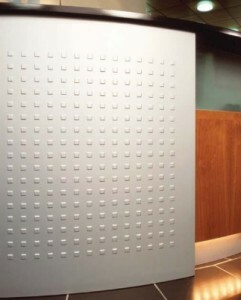 Our aluminium tread plates are available in either ‘Ano-Sil’ satin anodised or mill finish. (Ano-Sil Anodised is a smooth matt satin finish and Mill is the untreated option). 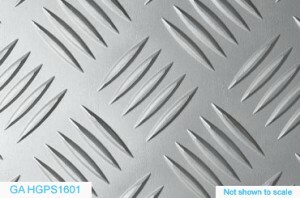 These aluminium tread plates can be ordered online today for prompt dispatch. 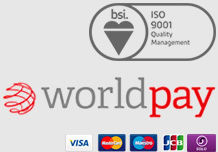 Gooding Aluminium are a national and international supplier of a wide range of high quality aluminium products such as aluminium treadplate.